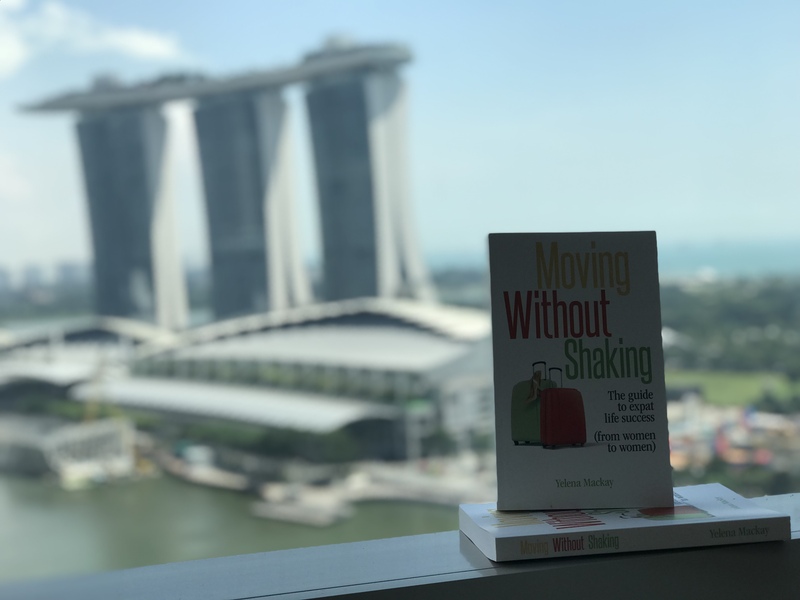 I’m pleased to announce the publication of Moving Without Shaking, my new book that combines years’ worth of knowledge of and experience in living abroad! Languages: Is my native language enough? Career Changes: How do I navigate a foreign job market? Cultural Adaptation: What is culture shock and how should I handle it? Relationships: Should I let go, or should I hold on? Attitude: How can I find the right attitude to ensure a successful relocation? What do I need to do to brave leaving home and leap into life abroad? That question is at the heart of Moving Without Shaking, which draws upon the experiences of 9 women who have lived across 12 countries. I like to think of it as a guidebook-meets-memoir, a compilation of practical advice on the challenges of living abroad told by the people who have made the leap and managed to hold onto their sanity! I deal with issues like culture shock, navigating the foreign job market, language barriers…all of the things you don’t want to learn the hard way! So if you’re relocating abroad, have just moved or contemplating an opportunity outside of your normal geographic boundaries. It’s also great for employers sponsoring moves, students abroad, and international volunteers. Hope you enjoy these true stories and advice! WHO SHOULD READ THIS? YOU! BUT ONLY IF YOU ARE FEMININE, EDUCATED, DISCONTENTED AND BORN WITH AN ADVENTURE GENE. FEMININE: This is a woman’s book! Yelena is very feminine, educated, bold and discontented with wherever she is. It is intended for other women moving along the same path. EDUCATED: Education takes you only so far. This book assumes you are done! Your next step is either to sink dully into 40 years of the conventional routine of your local corporation or to look across the seas to see what might offer you a chance to become truly alive, simply by trying something new. DISCONTENTED: Most business school graduates seek nothing more than a 14 by 14 foot felt covered cubicle, within which they can peacefully practice the trade that they learned, until they retire. They do not seek adventure, only security, routine and salary. That’s not you!! BORN-WITH-AN -ADVENTURE–GENE: An adventure gene is entirely imaginary but you are born with it just the same. I have it. My mother had it. My father had nothing even close. I have three big sons who don’t have it and one six year old daughter who does. If you have an adventure gene, you will “not” be satisfied to stay in one place for your lifetime. You will always wish you were somewhere else, somewhere strange, somewhere exotic, and, yes, somewhere romantic. Worse, you will actually strive to get there- remaining always on the lookout for ways to escape what you have, in order to try what you want. Internships? Scholarships? Jobs? You will want to go after them all. Frankly, this book will tell you how… and why… and how to get rid of potential partners who don’t want you to do any of this, but stay at home with them and have children. Is this book different? Yes. Yelena leads you from Ukraine to California to Geneva to London, with stops at Melbourne and Cape Town. Surely that is better than fighting for shelf space for your new soap product at Walmart. Try it, and put your own adventure gene to work. My international journey began in 1999 when I moved from an industrial city in Ukraine to the US, straight to the heart of Silicon Valley, California, to study for an MBA. Today, my global experience covers living in the US, Switzerland, the UK, Tanzania and now Singapore.My career in technology sales operations has facilitated opportunities to work and live in the major hubs around the world. One key thing I have learned through my own experience: all successful global moves have a great support structure, be it sponsors, mentors, coaches, friends or family.I am passionate about mentoring and coaching women who are interested in exploring international careers. I hope my first book will help you make better decisions and build your own exciting expat life.